You are responsible for deciding on the suitability of the goods offered for any particular purpose and for the consequences arising from your purchase and usage. 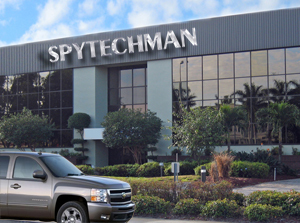 By purchasing or placing an order for any product through the Spytechman website or Printed Catalog or by any other publications or any material connected directly and or indirectly with Spytechman you are acknowledging that you fully understand and have consulted the legality status through a respected governing body in your country. You are purchasing on the understanding that you have made all appropriate means to comply yourself and fully understand the applicable laws relating to such equipment used in this country or your own country and the consequences, which may be implied by their misuse. Spytechman will not be held responsible for the usage of the products. Use only at your own responsibility. Please contact us by e-mail for any question to prevent any chance of misunderstanding, we will be more than happy to provide you with any requested information.